Designed to give your hair a soft and smooth texture, our Eternity beard oil is designed to be absorbed by the skin easily- leaving it well moisturized and hydrated. It is formulated with pure essential oils; lemongrass, eucalyptus diluted in Grape seed oil and Jojoba seed oil. Eucalyptus is well known for its cleansing, hydrating and hair care properties. It's stimulating scent combined with the earth like aroma of lemongrass leaves you in a state of awe. Our eternity oil is suitable for all skin types. Without leaving your beard greasy or itchy, it treats the unruly coarse hair with a lasting effect. Lemongrass because of its antiseptic properties has been long used in skin care products. Shampoo your beard to clean it. 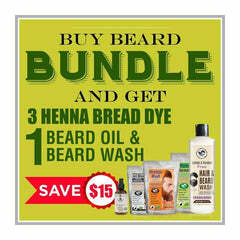 It is important to clean your beard prior to use to prevent bacteria or germs. Dry your beard before use. Put a small amount of beard oil on palms, spread it evenly. Apply it on the beard down to where your fingers touch the skin. Nicely comb for grooming and shape. Cavin Schon Eternity beard oil is a combination of the top essential and carrier oils. As we take pride in extracting the finest quality essential oils, we combine these ingredients to formulate a nutrient dense product that keeps your beard health intact. We are sure that once you have your hands on this product, you will find your beard to be much healthier, manlier and groomed than before. Our products feature and mild and masculine fragrance that keeps your mood uplifted throughout the day. Because it is essential to dilute essential oils with carrier oils, we ensure that our products are safe and healthy to use. Our beard oils do not contain any harmful chemicals that may cause skin problems. This marvelous combination of natural oils has become my favorite beard oil now. It is very moisturizing and keeps my beard soft and smooth to touch. Do beard oils really work? This was the question in my mind before placing this order. It worked magically. Wonderful results. Very impressed with the product quality and customer service by the henna guys.